The current Guinness World Record for the largest parade of Volvo cars is 570 and was achieved by Volvo Forum in association with Auto Boss (Poland) in Katowice, Poland on September 2010. The parade started on the border between Katowice and Chorzow and ended along the dual carriageway in Katowice. People travelled from Germany, Norway and Slovakia to witness the attempt. A Volvo Facebook group wants to smash the current world record for the most Volvos travelling over a measured mile - and needs your help. VolvoTuning.Net (VT) has been in touch with the Volvo Owners Club, Volvo Enthusiasts' Club & Volvo Owners' Scotland to break the record of 570 Volvos in convoy, set eight years ago in Poland. The attempt is open to any classic or current Volvo owner, regardless of club membership. Stuart remains confident that at least 600 cars could be made available for a record attempt next year. A tentative date is set for Sunday 21 April 2019. The venue for this World Record attempt is presently undecided although Bruntinthorpe & Rockingham have been suggested amongst many others. Sunday 21st April is currently the day you need to mark on your calendar...cancel everything else. UK Volvo Community Needs You. Will post updates as they arrive. I should be able to bring along at least one volvo for the attempt, should be quite a sight. Would love to bring the C70 T5 to this. Max Millsy and VT Admins are proud to announce the Official Date & Venue for the 2019 World Record Attempt of 600 Volvos. Cancel all foreign holidays, birthdays & wedding arrangements....Sunday 31st March 2019 is the Official Date when the Volvo Community Needs You !! 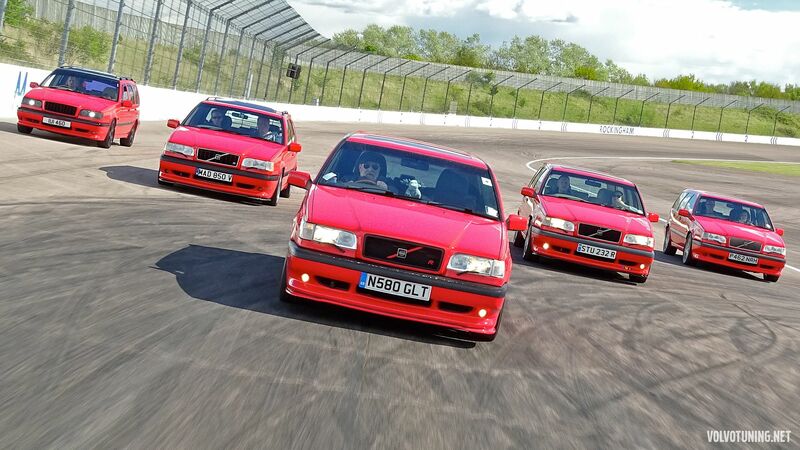 The Venue is Bruntingthorpe... boasting a Runway of 3000m, or 1.86 Miles in old money....perfect to get 600 rolling Volvos to break the current World Record. Bruntingthorpe is centrally located just south of Leicester and conveniently just off the M1...allowing easy access from all corners of the Country. With just 7 Months to go until the World Record Attempt, we need you to spread the word, share with friends and colleagues, convince neighbours to buy a Volvo and have Sunday 31st March burnt to memory. Hi Abdul, if you come in my old Laser, you might not be going Home in it!! I'm definitely up for this and will bring atleast one of the volvos. Do we need to sign up for this somehow? Superb....no need to Officially Sign Up for the event but there is a Poll on the Facebook Page where you can register your attendance. Will try to be there, sounds a great idea. The event has really started to take flight. Volvo UK are now officially supporting the World Record Attempt both in promoting the event and on the actual day. We have also decided to support Breast Cancer Care for the World Record Attempt....seemed appropriate since Sunday 31st march is Mother's Day. Excellent news, well done Stephen. Oh hi guys and girls I am gunna have a visit and I will contribute two or three Volvo's 1999 V70 estate 1999 C70 t5 saffron and my new but old v90 drift car looking forward to it already am sure we will achieve .